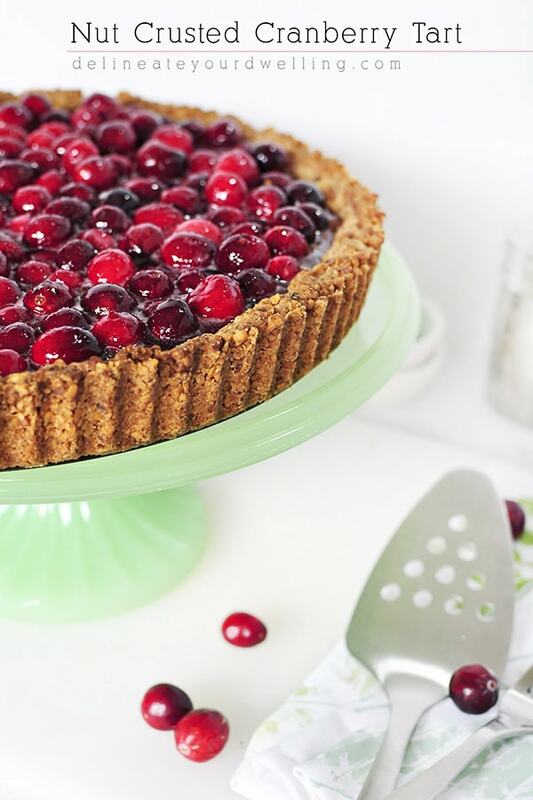 When the weather cools and the leaves start changing colors on the trees, there are a few key seasonal foods you start seeing pop up all around; cranberries being one of them. I love their bright bold color and have often used them in decorating around my home, but never used them in baking… until today! 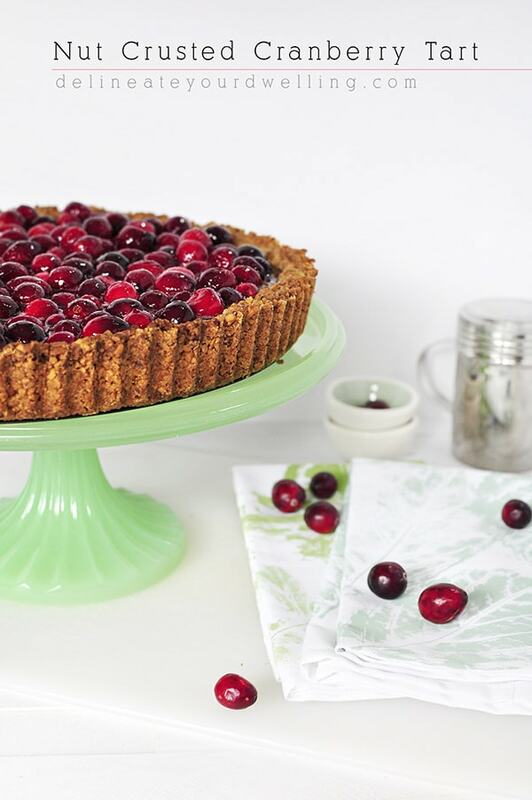 I’m sharing a festive Fall Baking recipe : Nut Crusted Cranberry Tart from Martha Stewart. Personally, I always think one of the best parts of a dessert is the crust and this was a delicious one! It called for finely chopped walnuts as the nut and it gave the crust a wonderful taste. Nut Crusted Tart styled on Martha Stewart Macy’s Jadeite Cake Plate and dome. While the crust was baking in the over, I started on the cranberry filling. 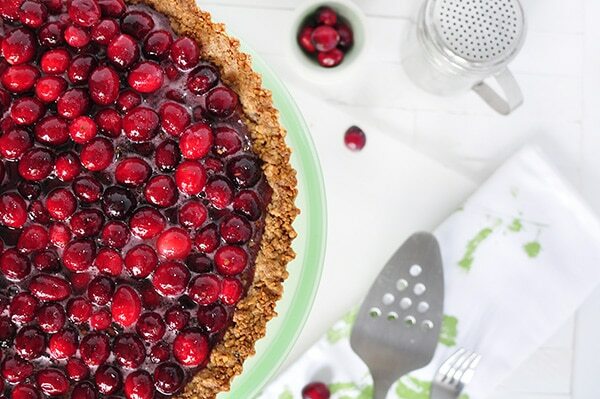 If cranberries are your thing, this recipe will be just perfect for you! 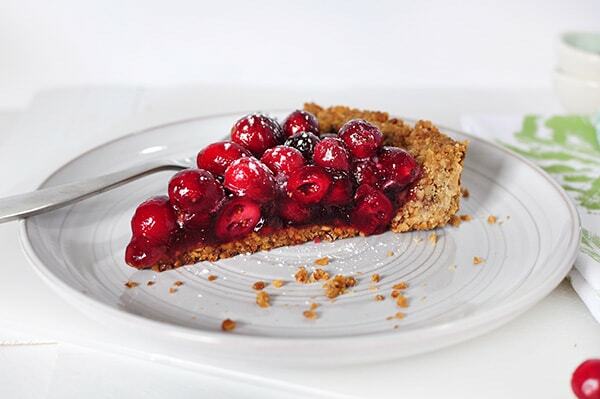 The presentation of this tart really is amazing! The color of the cranberries is so vibrant and colorful. It’s perfect for a fall party. Also happening this fall is the premiere of Martha Stewart’s 7th season of Martha Bakes, which started the weekend of October 8 on PBS. You can see more details of this recipe, in addition to so many other delicious recipes during the season. Nut Crusted Cranberry Tart Recipe here. 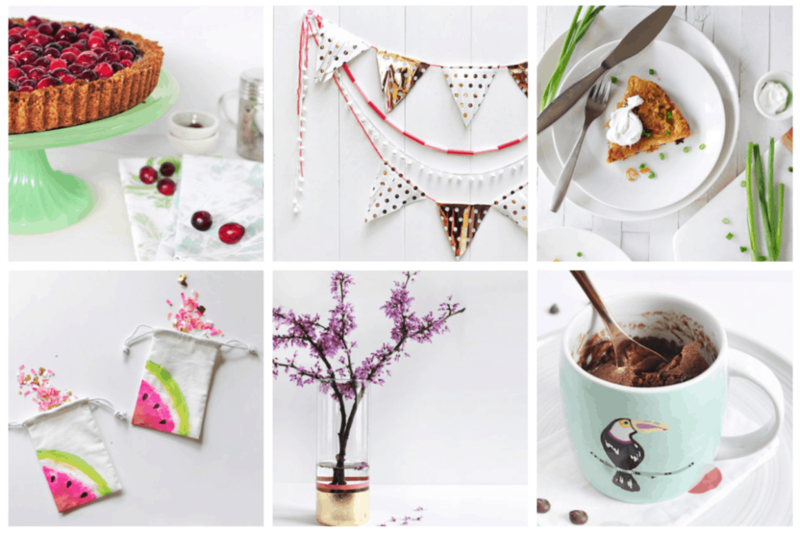 If you would like to see other Martha Stewart projects I’ve created, head over here! 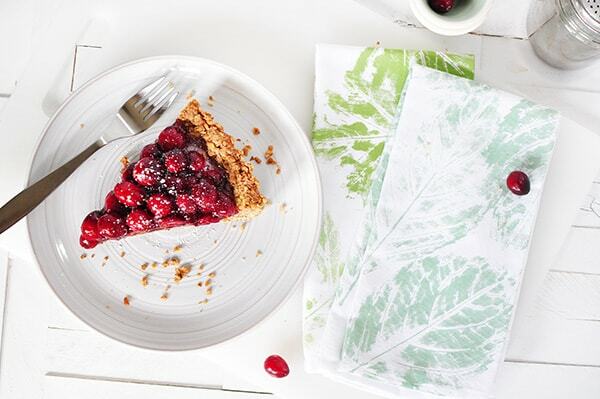 I love the red cranberries with that cake plate! ! ! This looks delicious! It would be perfect for Thanksgiving. 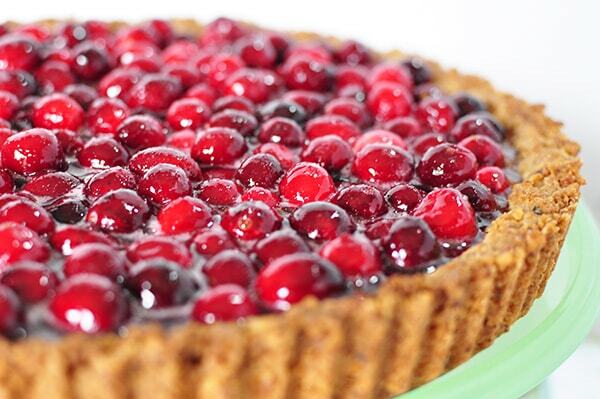 It would definitely be the perfect Thanksgiving dessert!